You can replace your existing 4 way light switches with new smart 4 way light switches. It’s a question commonly asked but there aren’t a lot of resources on the topic because not everyone has 4 way light switch configurations so we designed this guide to help you pick the right 4 way smart light switches for your home. There are fewer 4 smart light switch options on the market than 3 way smart light switches but the 4 way smart light switches listed below are all high quality, refined, reliable light switches that we have installed and tested. What is a 4 way smart light switch? 4 way light switches are light switch configurations that allow for the control of one or a set of light fixtures from 3 light switch locations. Technically speaking a 4 way light switch control is three switches, and 5 way light control would be 4 light switches controlling the same group of light switches. 4 way light switches are typically found in larger rooms like living rooms, large kitchens or rooms that have multiple entrances. To make an existing 4 way light switch a smart 4 way light switch you will need to remove your existing 4 light switches and replace with either of the 4 way smart light switch configurations we list below. If you don’t feel comfortable doing the installation yourself you can always hire a local pro to do the installation. We’ve tested the different types of 4 way smart light switches to find the best 4 way on/off style smart light switches for you. We’ve narrowed down the top choices that we use, and recommend based on our experience installing and using 4 way smart light switches. In this post we cover both Smart Dimmer 4 way light switches and standard on/off style 4 way smart light switches. Deciding if you want a regular on/off style switch or a dimmer switch is really a matter of personal preference but most people use smart on/off style smart switches for stairways and then use smart dimmer switches for living rooms, dining rooms and bedrooms. Typically when you want to turn the lights on for stairs you want to be able to see and ambiance is not a concern. If you are in doubt just use a smart dimmer switch as they will provide the most functionality and the switches we recommend below will all function just like a normal on off switch to guests who are unfamiliar with smart dimmer switches. A 4 way smart light switch will work just like a normal 4 way light switch in that you can turn your lighting on or off from multiple locations but it can also be turned off with your phone or by using voice commands with Alexa. I have found that I most often use voice commands to turn on and off my smart lighting because I can do it as I walk in or out of a room and the response is almost instantaneous. Voice control of smart lighting adds a whole new level of luxury to any home. Controlling your lighting with your voice will require that you have an Alexa device like an Echo Dot, Echo Show or Sonos With Alexa built in. My favorite Alexa devices for voice control are the Echo Show and Sonos Beam. You can also use Google Home products to control your smart light switches with voice and it’s mostly a matter of preference between Google & Alexa devices. You can find 4 way smart light switches that work with wifi, z-wave or zigbee on the market. We typically recommend using wifi smart light switches when possible because they don’t require a smart home hub and will work with pretty most wifi routers and will allow for future compatibility with any smart home hub like Alexa or Google Home. If you want to learn the difference between wifi, z-wave and zigbee home automation protocols we cover the topic extensively in a smart home podcast. I personally have a few of these in my home for 3 way switch locations and have also installed them in 4 way switch configurations. They have worked flawlessly for years without any issues and I have them connected to both Amazon Alexa and Google Home for voice control. These 4 way on/off style smart light switches connect to standard home wifi networks from your cell phone and don’t require any kind of smart home hub. The Leviton app is simple to use and connecting the lights switches to the app is easy, just make sure you follow the instructions to put the light switches into pairing mode when trying to connect to the app. Once you have the smart 4 way light switches connected you can control them through the phone app at home or remotely with just a swipe of the app on your phone. The 4 way smart light switch functionality requires that you purchase both the standard Leviton on/off wifi light switch and a matching paired smart wifi switch remote as they call it. For 3 way smart light installation you would need one smart switch and one remote. For a 4 way smart light switch installation you need one smart switch and two smart remotes. For a 5 way smart light switch installation you need one smart switch and three smart remotes. The light switches were easy to wire up, without issue, they use a neutral, hot, load and traveler wire to work together. If the remote is not working most likely it’s possible that traveler wire and load wire are connected backwards, it’s typically an easy fix just take out the switch and switch the load and traveler wires. It’s important to take a picture of the existing wiring before you pull off the old switch so you can identify the wiring for the new switch, it also doesn’t hurt to mark the wires so you know which goes where on the new switches. For this project you when you take off the light switch covers for each switch as part of a 4 way switch you will want to inspect each junction box and make sure you place the smart light switch in the box that has the right number of wires in the “remote smart switch” in the box with fewer wires. The smart light switch will require 4 wire connections plus the ground ( Hot, Load, Neutral and Traveler). The remote will only require 3 wires plus the ground ( Hot, Neutral and Traveler). These are the same style of switch as the Leviton Smart dimmers but they are the on/off model switch of the same line of leviton smart switches. These smart light switches have the same features and work on the same app. They are just as reliable and easy to use as the smart dimmers. The only modification is that they don’t support diming and don’t have the side mounted dimmer adjustment like the leviton smart dimmers. If you have the leviton dimmer switches these will match the same decor and cover plates as the dimmers. How do you wire a 4 way smart light switch? Wiring a 4 way smart light switch like the Leviton wifi smart light switch is a relatively easy task if you have a newer home built after 1975 or your wiring has been upgraded since 1975. This is because typically houses wired after 1975 will have have a neutral wire, wired into the switch box which allows for easy connection of smart light switches. Below shows a typical wiring diagram for a smart wifi light switch. Wiring instructions are included in the box, and your wiring might be different from the below diagram but this is generally the 4 way switch wiring setup we see in 90% of homes newer than 1975. You should always follow the included instructions or you can hire a local electrician if you don’t feel comfortable doing the work yourself. If you have an existing neutral in your switch boxes it typically takes about 15-30 minutes to install and set up each smart light switch. If you don’t have a neutral wire (white wire) in your switch box you will need to use a smart light switch that does not require a neutral wire. The smart light switches in the Lutron Caseta line do not require a neutral wire. The trade off is that they require a smart home hub that you will need to setup and connect for proper functionality. *Note this kit includes 2 switches, and a Pico Remote to make it a 3 way light switch, all you need is one additional pico remote and you can make it a 4 way light switch, even if you don’t have the wiring for a pico remote. Please also note the Lutron Caseta light switches we have recommended don’t require a dimmer. 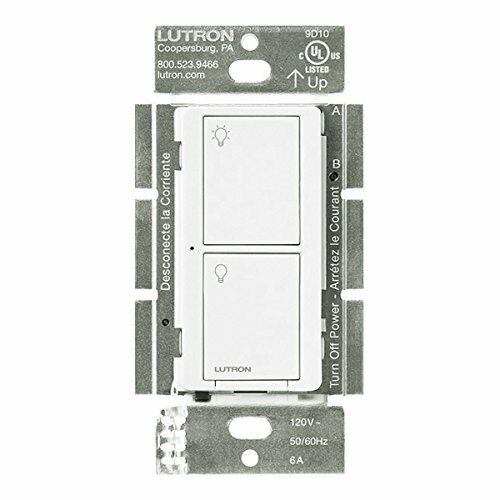 The Lutron Caseta smart dimmer light switch kit offers everything you need make your 3 way and four way switch smart when combined with an additional pico remote. The Caseta smart light switches all connect to a central hub that can then control any other Caseta smart light switches that you add to the system. The hub then connects to your router and can be controlled via wifi though the app for in home or remote control. The Lutron Caseta smart light switches will work with both Amazon Alexa and Google Home. The Caseta smart light switches do offer two unique features not offered by many other smart light switches. The Caseta lights switches don’t require a neutral wire which can be very helpful if you are trying to rewire an older house which often don’t have neutral wires in the switch boxes. The Caseta light switches also work with caseta pico remotes which are actually battery powered but look the exact same as normal light switches. This means that you can turn any switch into a three way, four way or even five way smart switch without the need to rewire the switch because you can just mount the pico remote on the wall and connect it to the hub and it will enable three way switch functionality through programming in the hub. Pico remotes don’t require any wiring and can be placed anywhere, this creates a tremendous amount of flexibility and lets you turn any Lutron Caseta smart light switch into 3 way or 4 light switches without wiring, just buy a pico remote and set it up through the Lutron App. If you already have a three way switch and want to use the Caseta smart light switches you can just wire the circuit so that only one switch in the 3 way circuit is controlling the on/off function of the lights and on the other side of the circuit you will remove the old switch and cap or connect the wires as needed in the junction box and install the Caseta pico remote where the old switch was and it will look identical to the fully wired smart light switch on the other side of the circuit. The Lutron Caseta line of smart light switches also has smart on/off style switches if you prefer something other than the dimmer switches. The Lutron Caseta smart 4 way switches work just like the smart dimmer switches except for they don’t allow dimming. 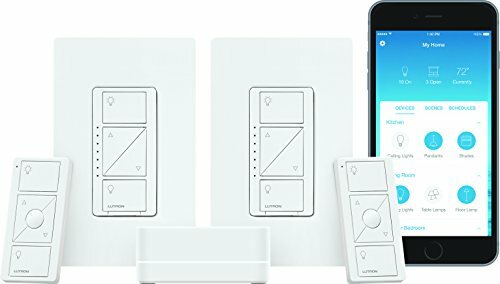 They will work with the same Lutron Caseta Hub that the smart dimmer switches connect too and will connect to the same app interface. 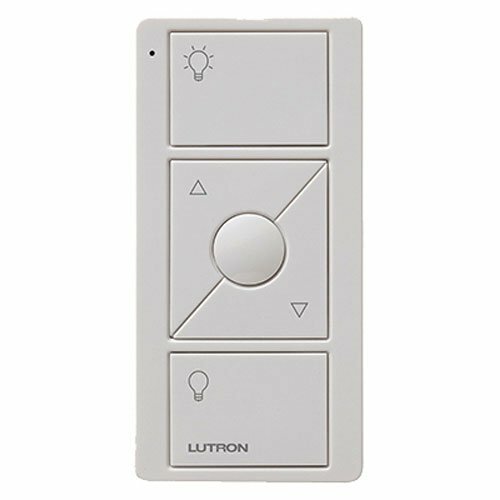 The Lutron Caseta On/Off switches we have selected below don’t require a neutral which makes installation easier for older homes that don’t have a neutral wire in the switch box. The On/Off switches don’t have fully inclusive kit so you will need to buy items separately unless you already purchased the Lutron Caseta smart dimmer kit with the hub included. If you already have a Lutron Caseta smart hub you don’t need another one unless you go over the 50 device maximum. *This kit allows you to mount the Pico Remote in a standard wall plate to make it look built in. Both the Leviton and Lutron Smart light switches offer high quality, great looking smart light switches that will offer 3 and 4 way smart switch compatibility. If you have a newer home with a neutral wire in the switch box I would lean towards using the Leviton light switches because they don’t require a home hub, and operate directly on your wifi network. They also don’t have a maximum 50 device per hub limit like the Lutron Caseta Light switches. If you have an older home or no neutral wiring in your switch box, I would use the Lutron Caseta light switches, they offer easy installation and high end control features. They are also great if you don’t have the existing wiring for a 3 way or 4 way smart light switch but want to add 4 way smart switch functionality because you can do so by adding a pico remote that is completely wireless and mount in on a wall inside a standard cover plate and it will look just like a built in full wired smart light switch.